A couple of weeks ago, following the E3 trade show in Los Angeles, Kogi Tagushi, Senior Executive Officer at Square-Enix, declared he was “humiliated by the decline of Japanese titles”. Now, Mr Tagushi was mainly talking about the poor representation of Japan at the show in terms of new games and IPs, however the decline of the Japanese games industry has been a popular topic of discussion recently, and a second interpretation can be seen of this, relative to two large Japanese game companies that seen to be willingly putting on a blindfold and driving as fast as they can against a wall, namely Sony and Nintendo. 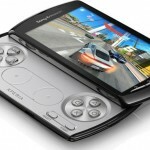 Sony’s “next big thing” is the formerly NGP, newly named Playstation Vita, a portable gaming console that is supposed to succeed where the PSP Go has failed. In my blog post about the Nordic Game Conference, I already mentioned Sony’s poorly chosen communication axis against smartphones, but hearing it repeated almost word for word at E3 made it clear is with more than a general guideline or a personal initiative from the Sony exec at Nordic. 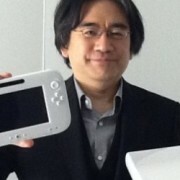 While some acclaimed the announcement of the Nintendo Wii U at E3, I was mostly unimpressed by what is mostly an Xbox 360 type of machine coupled with an iPad-type of controller that isn’t portable, and supported by a lineup of ports from other platforms as well as the usual remakes of Nintendo IPs that have seen little change for the past 10 years. I was however, excited by one “tiny” announcement related to the new platform : it was to host Ubisoft’s Ghost Recon Online, the team-based shooter announced as the publisher’s first big entry into the free-to-play business model on PC. At the time of the announcement, nothing was told about the game’s business model, and Ubisoft refused all comments, until Nintendo made it clear : the Wii U won’t support free-to-play games. 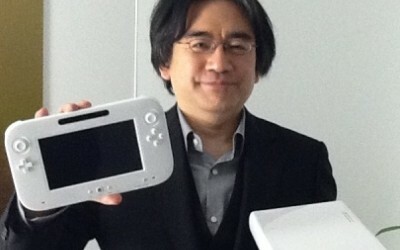 Mr Satoru Iwata, Nintendo’s President, declared in a widely covered interview that his company isn’t “interested in making free games” and that the free-to-play business model was “bad for the industry”. Now if we can give the benefit of the doubt to Sony, Nintendo doesn’t have that chance. One good comparison to Nintendo’s situation, is the battle between traditional TV channels and “the almighty Internet”. Seeing their audience shrinking each year, especially among the teen/tween audience, traditional broadcasters never fail to prepare long features about the dangers of Internet, and about how much video games were bad for your kids and it’s surely much better to have them watch TV all day. Trying to position itself as a maker of “premium” gaming experience worth paying for is a valid strategy, it is how MMOs such as World of Warcraft or Rift can be successful while asking for an initial payment and subscription, but you don’t see either Blizzard or Trion publicly stating that free-to-play is bad, as that would put them into a corner they would have trouble to get out of. In a recent interview with GamesIndustry.biz, Thomas mentioned that traditional companies were afraid of the free-to-play business model because of its potential for disruption of what they have been doing for so many years, and this is exactly the case for Nintendo. Free-to-play is disruptive, and it is dangerous, but not for the games industry : in this case, free-to-play is dangerous for Nintendo’s business if they don’t embrace it (and can be very good for them if they do). Sony has embraced the model with its SOE game and free MMOs on PS3, Microsoft is deeping a toe in the water with Age of Empires Online and a couple of other free-to-play online games on PC, but Nintendo seems to be heading into simple denial. Joe Danger developer Hello Games mentioned in a recent article published in Edge, that Japanese game companies have a very different approach to game development, spending years and years trying to perfect an existing and very well known recipe rather than aiming for new areas of the business. Large corporations are usually much slower to accept change, but will they be too slow to adapt before it’s too late ? It would be easy to say that Sony and Nintendo’s errors are a sign of the decline of the Japanese games industry, however that would be forgetting how forward-thinking companies such as DeNA or Gree are on the mobile gaming space, for example. Nintendo and Sony are simply showing an attachment to the business they have been doing for too many years : a business based on the sales of hardware, making them blind to the fact that, in tomorrow’s marketplace, value will be in content and community more than devices. Will they manage to wake up early enough ?